Fujifilm is the well known company for the High tech consumer and business products. Company is about to launch the new advanced X-T10 camera on 18th of May. Its been rumored that the Fujifilm new camera model come with some changes in existing Predecessor X-T1 mirror less camera. Trusted sources reveled the little specifications about the advanced camera device. Finally the much awaited device is to possibly debut on 18th May. If reports are to be believed some of the specifications has been leaked online which suggest the specification of X-T10. As per the reports and news, there is no ISO dial in this newly made camera model. This might be good or bad news as some of the people comfortable with ISO dial and some are not. Majority of the people loves to have the information on the dial instead of the exploring the menus inside. Lets wait to see how people respond to this change. 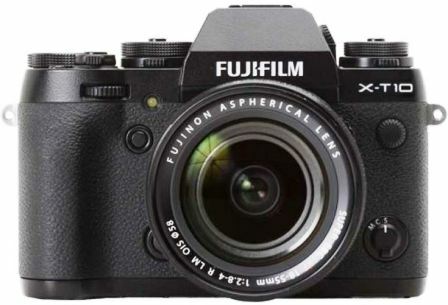 Moreover Fujifilm X-T10 camera has the Kit lens will be an XC lens and EVF size would be rumored to same as X-E2 camera. Get the Specification snippet bellow about the Fujifilm X-T10 camera device.